We all know that Baruch’s elevators can be infuriating, that Zicklin is constantly raising its standards and that getting to Baruch is sometimes a nightmare. But it seems like we tend to focus on the negatives of Baruch and neglect to mention the countless positives. After all, we did make it into the hardest CUNY; why not celebrate it? With students coming from 160 countries, we all know that Baruch is one of the most diverse colleges in the world. But what about the diversity of knowledge provided by the multitude of well-versed and experienced professors that Baruch employs at a low cost to its students? About 95% of Baruch’s full time staff hold PhD’s (or other terminal degrees) in their fields. Several full time and adjunct professors have respected past careers in government, policy, economics, and finance. To name a short few, professor Robert Walsh was the city’s Commissioner of Small Business Services under Bloomberg. Professor Stephen DiBrienza was a city councilman for 16 years before coming to Baruch. Professor Sanders Korenman was the senior economist for labor, welfare, and education for President Clinton’s Council of Economic Advisers. Even Governor Mario Cuomo taught at Baruch for a time. If we listed all the distinguished staff this college has seen, we would have to write an entire issue on them. Professors, though they are an enormous piece of Baruch’s success, are not the only part of the school that makes it one of the top 10 public schools in the northeast. Baruch is located in a prime spot in Manhattan and its facilities are a unique architectural feat. Between just the Vertical Campus, 23rd Street building and the library, Baruch fits 1,414,000 square feet (A massive 32.5 acres in a rural setting) into a two block radius. The vertical campus received the highest award offered by the Institute of Architects and Baruch won best college library in the nation in 2003 from the Association of College and Research Libraries. 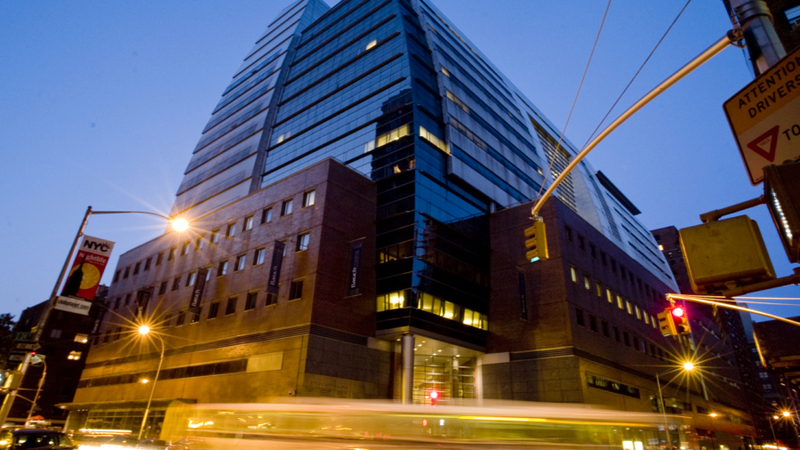 The computing and technology center is also the largest computing center in all of New York City. Most of Baruch’s classrooms also have built in projector systems equip with a variety of inputs. This enhances the quality of each professor’s lecture with slides, interactive clickers, photo examples, movie demonstrations and more. Zicklin, as the largest collegiate school of business in the nation, built the Bert W. and Sandra Wasserman Trading Floor in 2000. As a real time market data center, students at Baruch have a real world advantage over schools without this kind of learning experience. Baruch is also constantly improving its campus. With the addition of the 25th Street plaza, Baruch students have an outdoor place to study and hang out. Current projects include massive upgrades to the 23rd Street building that will replace its aging elevators and bring WiFi to the entire building. The library will also be updating its master plan to better fit the needs of Baruch’s students. Upgrades to the Vertical Campus include a modification to the facade to prevent falling ice during the winter, as well as a crane to clean its exterior. Baruch is constantly looking toward its future as one of CUNY’s senior colleges but this is only a glimpse of what Baruch offers. It’s your school; go explore it. I am a recent graduate from the Baruch's School of Public and International Affairs. I am perusing a career that blends my passions for the environment, economic development and historic preservation. How To Split and Convert 3.5mm Video Feed into RCA.